I just had the very good fortune of spending a month in Paris. Fortunately for us, it was just as beautiful as ever without any signs of conflict or tension. The Parisians were friendly and gracious. I am writing this as I hear about the bombings that just happened minutes ago. I went to Paris not to paint (or even sketch) like I usually do in France, but to soak up all that this beautiful city has to offer. I did not take a sketch book, but my birthday was at the beginning of October, so Tim gave me one as a gift. I used it twice while I was there, which was fun for me to do. We went to as many museums and galleries as our brains and legs could accommodate. Paris itself is an art museum. There are pieces of beauty on the bridges, streets, walls and fountains. Most of the time while we were there, the sky was a light blue or a blue-gray. The Seine River was its usual blue-green. 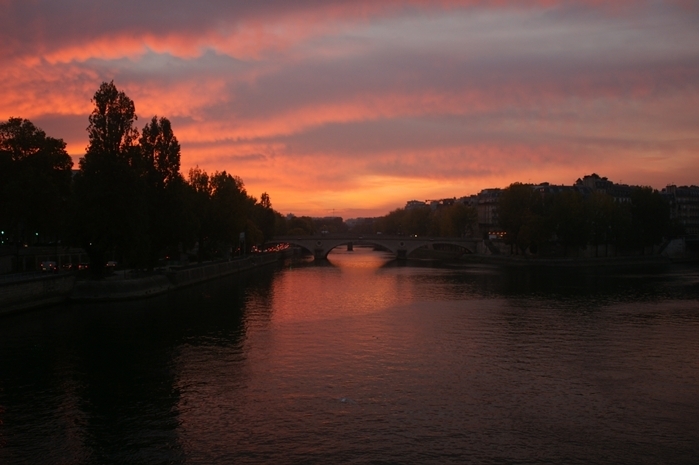 Paris was cool and damp, and a total contrast to New Mexico, except perhaps for some gorgeous sunsets. Photography by Tim Anderson, 2015. In Paris I was hoping to be inspired by the colors of city, the river or whatever came my way. But the image that came up for me was “La Vie en Rose” (life in pink), which basically means seeing life through rose colored glasses and having no regrets. 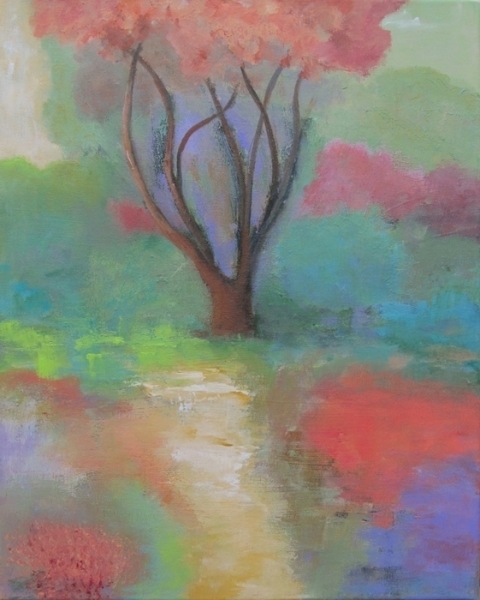 I looked back through all of my paintings and realized that I have never painted in pink. It is not my favorite color. But that is the inspiration that I came home with. After the unfolding of the events on Friday in Paris, it seems that I may want to reevaluate my plans. This entry was posted in Art and tagged abstract painting, La vie en rose, painting inspiration, Paris, Parisians, pink on November 15, 2015 by Ann Hart Marquis. Sometimes when I am rummaging around in my studio I come across a painting that I haven’t seen or thought about for a while. When I look at the date of the painting I am sometimes surprised. One such painting is a small work that I did in 2008. I do remember that I painted it in the winter and that it was a New Mexico scene. It is cold here now and at this time I am working on a New Mexico abstract series depicting how I see the winter landscape. It is interesting to me that I painted one lone winter scene about seven years ago and now I am doing a series. 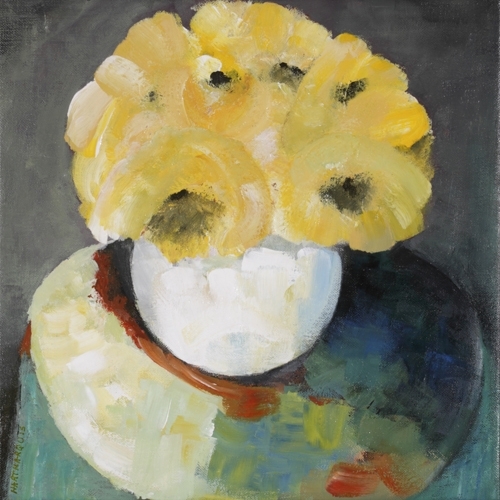 I like this little painting. Except for what I have sold, I have kept all of my work since I started painting 15 years ago, including my drawings. They remind me of where I started, how I tried new things, how I endeavored to be a better draftsperson and how I experimented with color. They provide a history of my art. Above all, my older work reminds me that I have produced many images in a variety of styles trying to figure out how to create an interesting painting. What I didn’t do when I first started painting was to paint in series. Art schools and marketing concepts suggest that to be successful, an artist “should” work in a series. That is because supposedly the best way for artists to get recognized and develop an identity, is to cultivate a distinct style. It is said that here is no better way to do that than to begin creating art in multiples. I have done several successful series, but I still like to paint something totally quirky and enchanting to me that goes with nothing except the fact that I consider it a good painting. 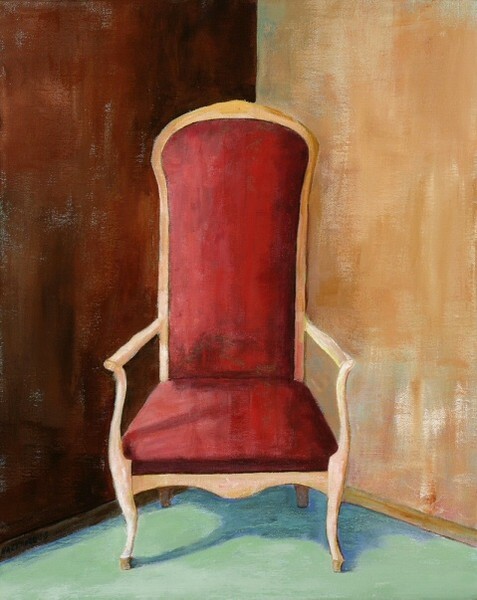 Here is one of my favorite paintings that just stands on its own. It is part of a collection in Phoenix. 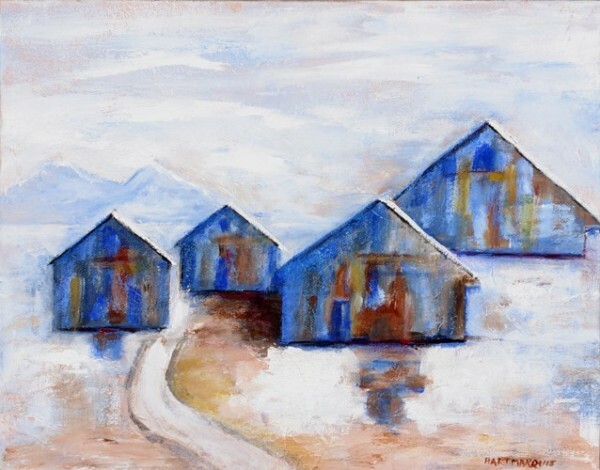 This entry was posted in Art, Painting and tagged abstract landscape painting, acrylic painting, New Mexico painting, painting series, winter landscape painting on January 4, 2015 by Ann Hart Marquis. Today is the first day of winter, the Winter Solstice. It will be the longest night of the year, meaning that despite the cold winter, the days get progressively longer after the Winter Solstice until the Summer Solstice in 2015. Here in New Mexico the skies are unusually grey and it is unusually cold and dry. As in most parts of the country, most of the trees have no leaves. However, for the southwest, winter means brown grass and shrubs. There is little green to break up the endless shapes of sienna and umber. For the next few months I plan to continue my New Mexico series to see the colors of the landscape as it becomes colder. I already see that the clouds are a blue-grey, without the subtle pinks and oranges of fall. I spent the Winter Solstice dancing, my second favorite creative activity. Did you celebrate the solstice? This entry was posted in Art, Nature, Painting and tagged acrylic painting on canvas, Late Fall, New Mexico acrylic painting, New Mexico painting, southwest, Winter Solstice on December 21, 2014 by Ann Hart Marquis. A generally agreed upon definition of abstract art is the use a visual language of shape, form, color and line to create a composition which may exist with a degree of independence from visual references in the world. I realize that my finished product is a result on what is going on unconsciously and consciously. I guess that you could say that I am painting both the inner and outer landscape. It is rather exciting to not know what I will end up with. In my continuing foray into the abstract world, I find that I still like to see that comforting horizon line. 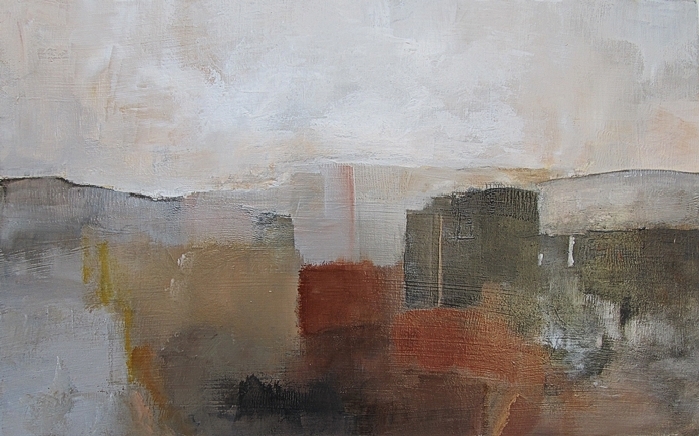 It is difficult to lose it and still call a painting an abstract landscape. 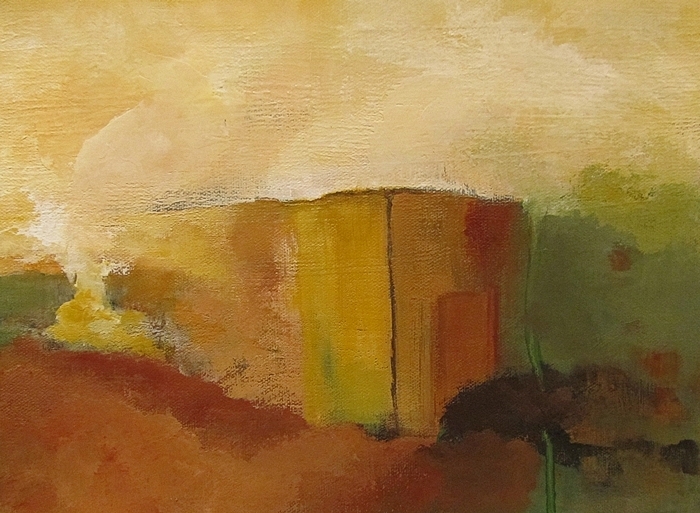 This entry was posted in Art, Environment, Nature and tagged abstract landscape painting, Late Fall, New Mexico, New Mexico painting on December 7, 2014 by Ann Hart Marquis. I have been painting for almost 15 years. 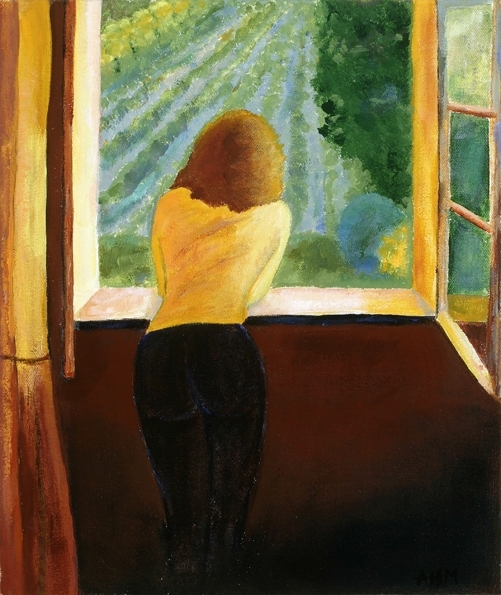 When I started with my first workshop in France, I had no painting or drawing experience or skills. I was drawn to art at a young age, but I did not know I wanted to be an artist or that one day I would be painting. I had no innate artistic skills. When I came home from that workshop in France with 10 days of painting experience, I knew that if I wanted to keep painting, which I did. I needed many hours, or perhaps years would be a better description, to develop into the kind of artist that I wanted to be. Since the beginning I have wanted to go to the “next level,” regardless of what that level would entail. I have never gotten over that feeling that I could do better or that I need and want to move on to something better. For me going on to the next level means an effort to conceive new concepts and new ways of expressing them. It requires letting go of attitudes and frequently how I did things in the past. 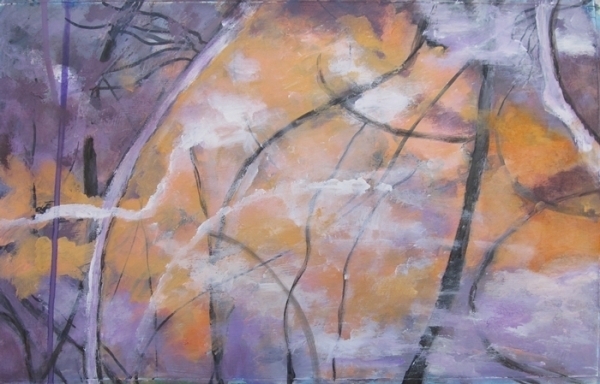 In the past I have painted trees, fruit, chairs, jungle scenes, cities, landscapes and myself. In other words, I have been drawn to paint many different tableaus in many different techniques. Now I am asking myself what is it that I really want to paint, how I want to paint it and why. Recently, I came across an article in LensWork magazine by Guy Tal, a photographer. “Where the aesthetic appeal of an image is determined by what is in the frame, the significance of an image is determined by why it is in the frame,” he wrote. Tal also suggests that an artist does not make art of things, but rather about things. If that is the case, the next level for me may be to step off into the world of abstract art. 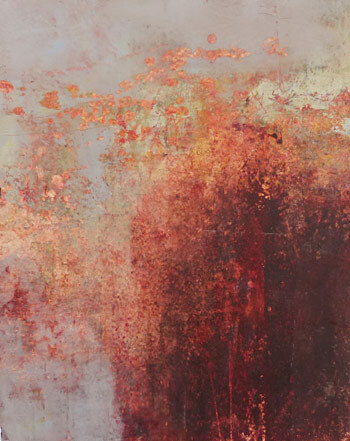 This entry was posted in Art, Painting and tagged aesthetic appeal, Guy Tal, next level painting, Rebecca Crowell on November 23, 2014 by Ann Hart Marquis. This past week, I have been working on a few projects simultaneously, but I have been focusing on what are sometimes called networked images. I have already posted one of these networked paintings and I even sold it (Limb to Limb, below)! They are actually images taken of intertwined or overlapping trees and tree branches. That is where the concept of a network of tree limbs comes in. 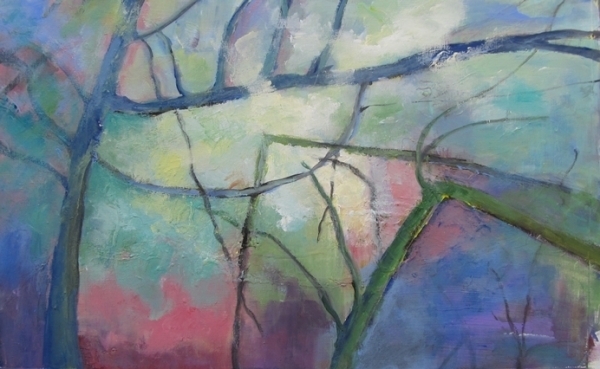 They are interesting to paint and they are part of my abstract landscape emphasis. 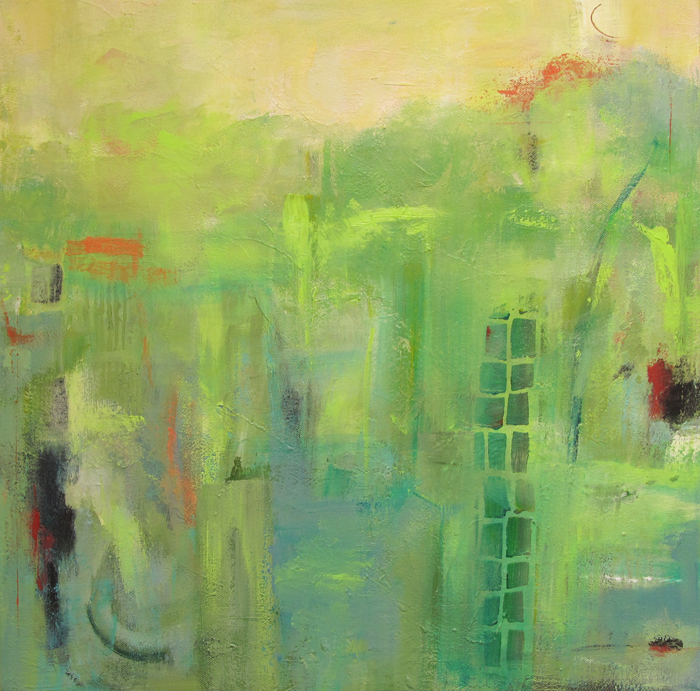 I have been thinking about continuing the series on large canvases. I would love to have your opinion about this series. 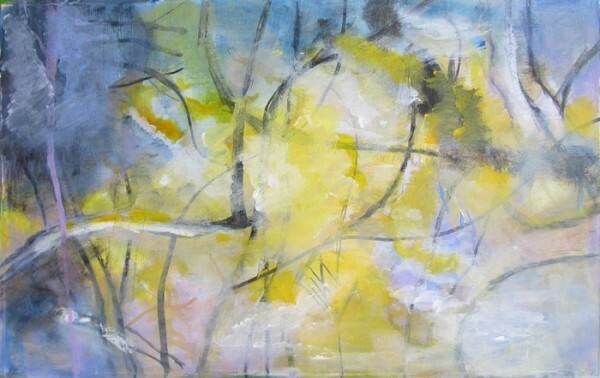 For those of you who may have missed my recent newsletter, I am having a sale of all of my paintings, including works on paper through Dec 31, 2014. There is a 30% discount for those of you who have already purchased my paintings and a 15% discount for new buyers. Take a look at the portfolios on my site and contact me if you are interested or if you have questions. This entry was posted in Art, Nature, Painting and tagged tree limbs netwoked paintings on November 16, 2014 by Ann Hart Marquis. As October came to a close so did my abstract landscape painting class taught by Pauline Agnew in Ireland. It was a very successful class for me. I not only learned new techniques, but I let myself experience the pleasure of loosening up my painting style. My horizon lines are now getting a little ambiguous, which is a good thing. All of my daily class assignments will remain online for a year, and I plan to go back and do some similar work sometime in the near future. 1. Acrylic paint and paper are interesting together, but I would rather paint on canvas. 2. Trying new things is a wonderful way to increase one’s repertoire. 3. 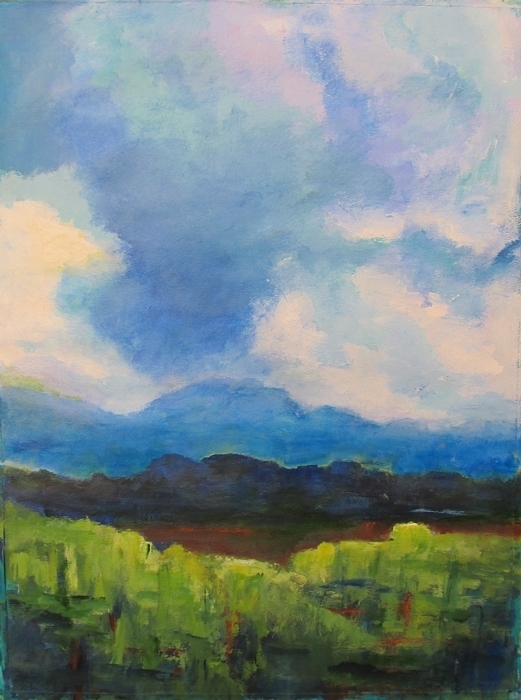 It is a little difficult to see the blues and greens of Ireland and paint in New Mexico. 4. Oil pastels need to be protected with a frame and glass. 5. I like to have my work critiqued. 6. I like having a daily assignment. 7. I enjoy painting in an abstract way. 8. Now I really want to go to Ireland. 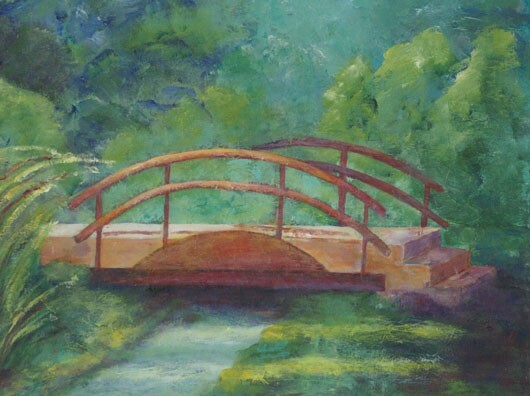 My last painting assignment directed me to attend to and paint what is called a “sense of place.” In other words, Pauline encouraged me to paint an area or location with which I am familiar. I have painted New Mexico many times so I wanted to paint something more intimate. What better place than my back yard? 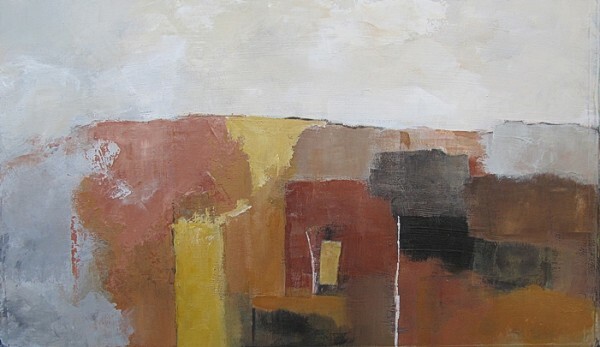 This entry was posted in Art, Painting and tagged landscape painting, landscape painting class, New Mexico, Pauline Agnew, sense of place on November 2, 2014 by Ann Hart Marquis. During the entire month of October I have been consumed with painting almost every day. Most of this enthusiasm is due to how much I am loving my Irish online class on abstract landscapes. I can’t wait for the next assignment and find that I am already feeling a little sad that the experience will conclude at the end of October. I like looking at how the instructor paints the Irish landscape full of green and blue. I can then create an imaginary landscape or interpret something from here in New Mexico or wherever my imagination will take me. When the class first began, I felt that I was neglecting the marketing side of my art. As a working, selling painter there are marketing strategies that I am supposed to be doing a least once a week. For example, I am always supposed to be updating my website and social media sites, growing my mailing list, contacting galleries, going to art openings to keep in touch with the local art community and planning my next show. As I got totally immersed in the landscape class, I realized that for a while I just want to paint. I have actually been having this feeling for a few months. I will let the pressure of marketing my work take a back burner for a while. Actually, I am not sure of how long. I am just loving spending my time thinking about and creating art. Have you recently put aside something you were supposed to do for something you loved to do? This entry was posted in Art, Painting and tagged imaginary landscape painting, Ireland, marketing on October 26, 2014 by Ann Hart Marquis. 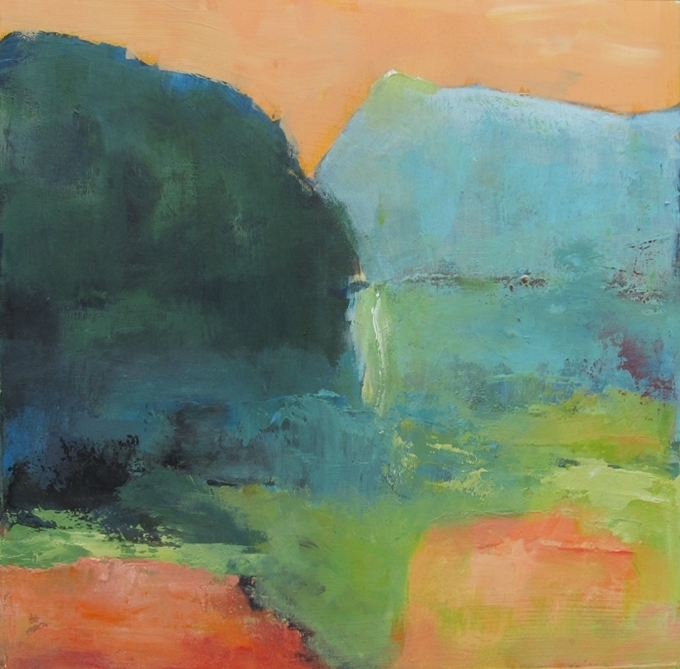 My abstract landscape painting class continues through the month of October. The pace of the class is actually perfect. We have an assignment every day. 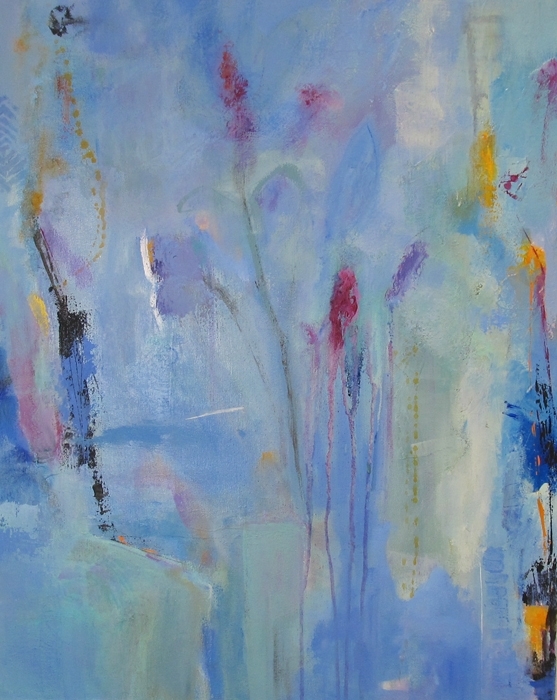 One day we paint or do a mixed media piece and the next day we have a chance to catch up with assignments and gather ideas by looking at other abstract painter’s websites or watching a particular art video. 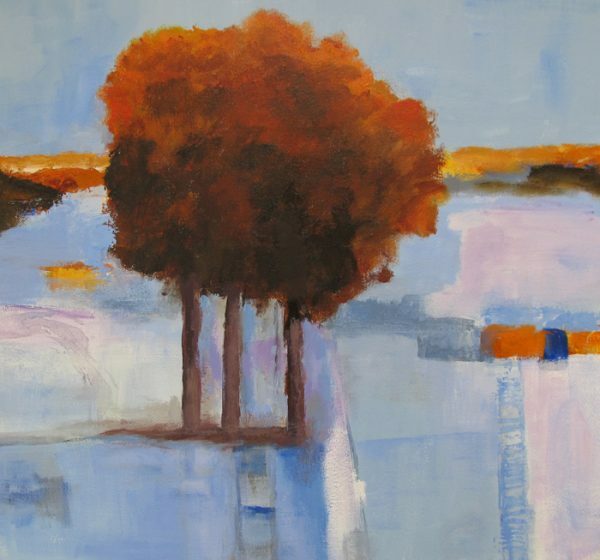 One video we watched was by Colorado artist Krista Harris. I was struck by something she said about knowing when a painting is finished. “Work is never really finished. You let it go just so you can get on to the next one.” I can identify with that. You, like my teacher are free to offer opinions. I would appreciate it. 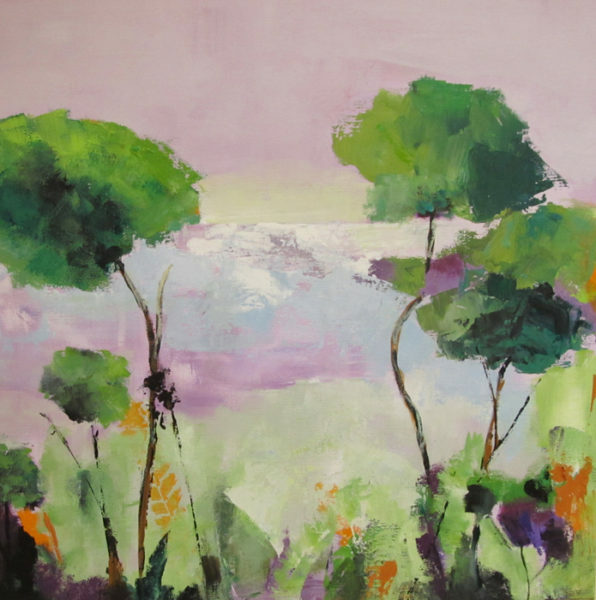 This entry was posted in Art, Painting and tagged abstract landscape painting, Cork, Dublin, Ireland, Krista Harris, Pauline Agnew on October 20, 2014 by Ann Hart Marquis.